The Chinese New Year holiday gave me plenty of time to relax and get some Advance Wars Dual Strike play in, but on the last two days I was blessed with a new game, Professor Layton and the Curious Village. This game is a collection of mini-games and puzzles all following the main plot line of a mysterious treasure. The person who finds this treasure will be left the entire estate, which coincidentally includes the entire village. Along the way Layton encounters additional trials including solving a murder and finding out what the strange tower is in the middle of the town. I recommend anyone who is fond of puzzles (including Martin Gardner fans), mysteries, and logic games check this game out. The great thing is that the website has a fully interactive demo which demonstrates the play mechanics of the game, meaning you can try before you buy. 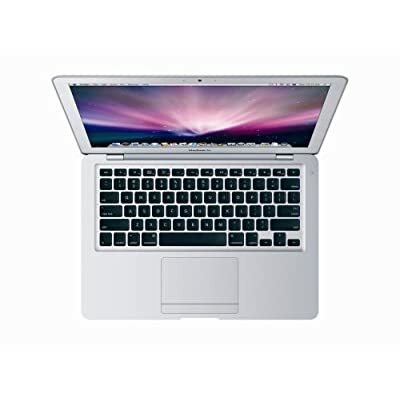 MacWorld recently released a review for the MacBook Air where they gave the machine a rating 3.5 out of 5. I am in fact a bit more inclined to purchase one now though, for two reasons. Then there will be those who … will adopt the MacBook Air as their primary Mac—simply because they’re laptop-only users who want that laptop to be as small as possible. This is how I feel – I honestly am not so happy with all of the reviews out there who say the machine is “slow” because that is based on an opnion, and as nice as opinions are, they are irrelevant. If I perceive the machine to be as fast as my current machine, I know I will be happy. What do I think of the MacBook Air? The day after the Apple Keynote, everyone in the office asked me “So are you pre-ordering one yet?” Well I guess the word is out that I am an apple FanBoy, but i need to be honest, I still don’t know how I feel about it. Don’t get me wrong – it isn’t the price. I’ve shelved over more for my lovely Vaio Z1 of yesteryear. I even think after the memory upgrades, California tax and all my current MacBook was as expensive. I even have been saving some money for the past 6 months just for this purpose. So it isn’t price – it is something else though. At first I thought it was the non-removable battery, but it turns out that it is trivial to replace. Some people complain about the lack of a CD/DVD drive, but honestly my IBM X40 didn’t have one and I never missed it. Some people complain about the lack of ethernet, but I think the USB Ethernet adapter is just fine since I only use a wire in the office and I would probably leave it permanently attached to my ethernet cable on my desk. What about when I travel – well I have an extra AirPort Express that I can throw in the bag. I am not complaining about the size either, the screen is big enough and who’t want a lighter laptop? So what is bothering me then? Well, I think it is the speed. I really want it to REPLACE my primary computer, and right now the benchmark tests say it falls far behind my consumer grade laptop. On-board video isn’t the problem, but I really would want it to be my primary machine, and I think the speed would really bother me. I have a 2.0 Core 2 Duo now, and I at least would want the same in my replacement. Maybe they bumped the processors up too fast in the entry level laptops because I want speed and the small size and can care less about ethernet and the optical drive. OK – I will probably end up buying one anyway, so I shouldn’t complain too much – but please, oh please bump up the speed a bit. Anyone else feel the same? I just got a new game that I have fallen in love with, Advance Wars: Days of Ruin. This is an edgy re-make of the previous turn-based strategy Advance Wars: Dual Strike game. In this revision the story has a bit more depth, the cut-scene graphic design is updated, and the overall gameplay is updated to focus more on strategy than on an all out melee. If you are unfamiliar with turn-based strategy games, you need to think of a war based strategy game where you need to plan your next turn by moving, attacking, building, or repairing tactical units of different strengths on the battle field. After you take your turn, your opponent (the computer) then moves all of their units to do the same. Think of a chess game where you can move all of your pieces once each turn. One of the final innovations over the previous version is the fact that they have added WiFi gaming to the mix. Online play tied with the ability to create your own maps and terrain provide you with unlimited play options at all skill levels. Play your best friend across the street or strangers who live 5000 miles away (anonymously, of course).